Video presented with the permission of the artist, Fumiaki Kawahata. Kawahata's Jedi Master Yoda from Star Wars. Folded using Mulberry paper. Back view showing Yoda's robe and hood. 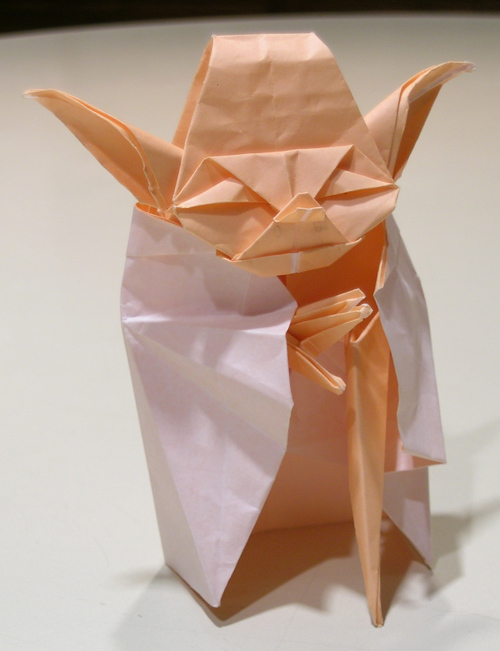 Kawahata's Yoda folded with 9 3/4 inch origami paper. Jedi Master Yoda - Episode I - A long time ago, in a galaxy far, far away... Step-by-step instructions for creating Fumiaki Kawahata's incredible Yoda from Star Wars. Episode I shows how to pre-crease the model and create the hood for Yoda's robe. Part 1 of 4. PDF Diagram follows the video. PDF is here. 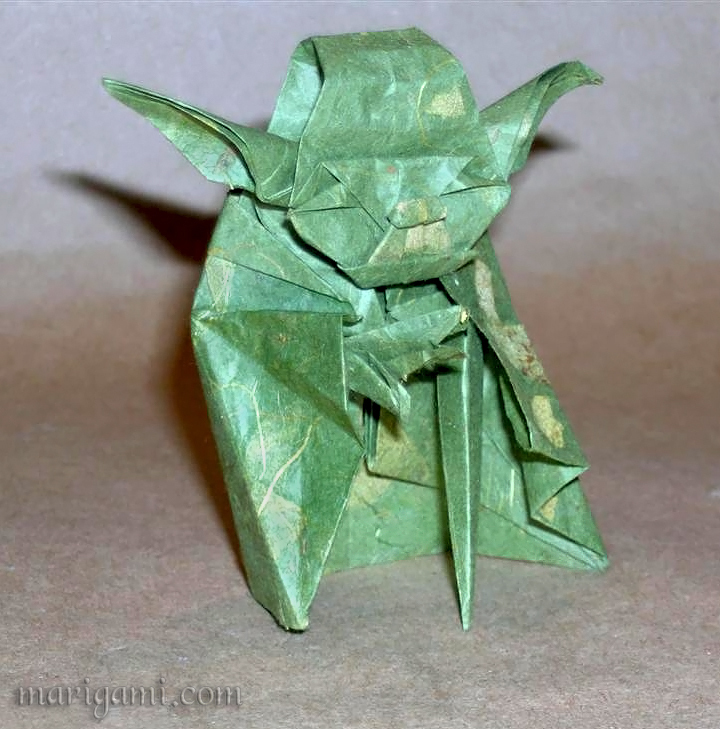 Jedi Master Yoda - Episode II - Step-by-step instructions for creating Fumiaki Kawahata's incredible Yoda. 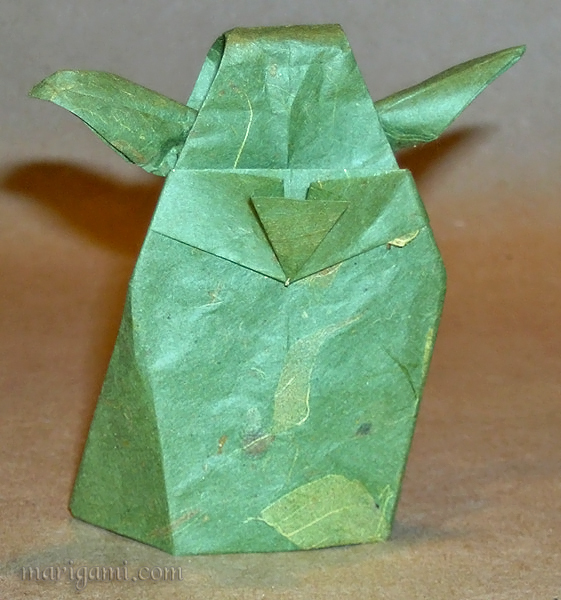 Episode II shows how to fold Yoda's right hand and how to collapse the model. 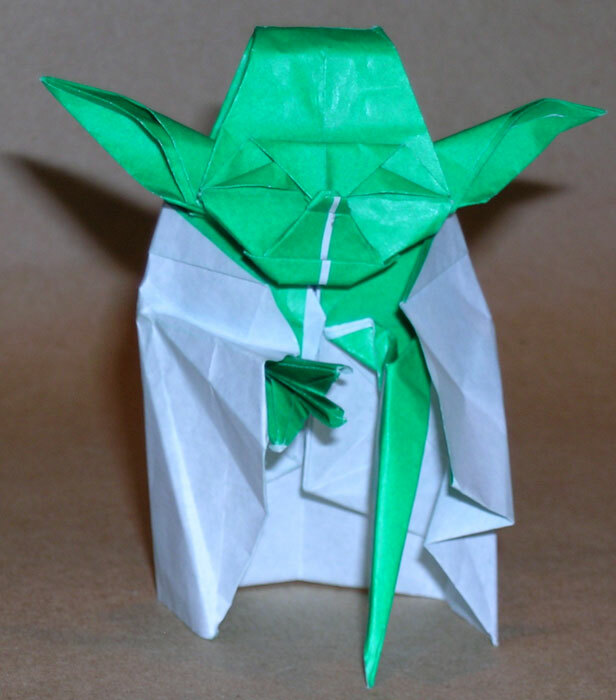 Jedi Master Yoda - Episode III - Step-by-step instructions for creating Fumiaki Kawahata's incredible Yoda. Episode III shows how to fold Yoda's body into shape. 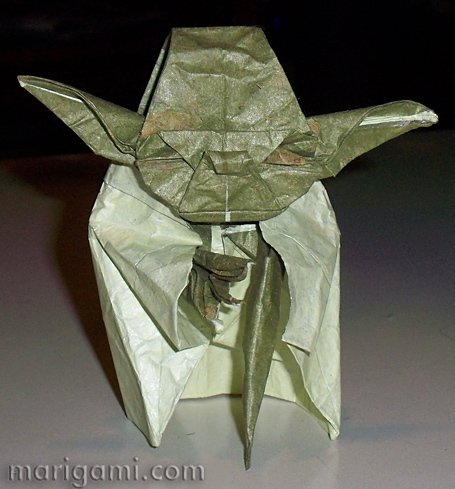 Jedi Master Yoda - Episode IV - Step-by-step instructions for creating Fumiaki Kawahata's incredible Yoda. Episode IV shows how to fold Yoda's ears and face and how to finish up the model.